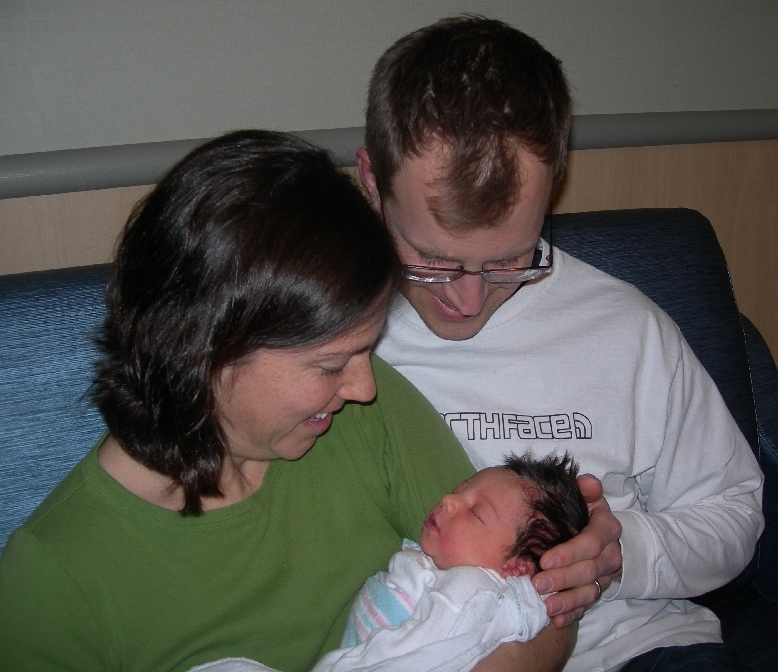 Hendrika (Hattie) Ruth Fischer was born Wednesday February 17th at 7:10am. She weighed 7 lbs 10 oz, was 20 inches long and has loads of black hair! Baby, mother and family are doing fine! 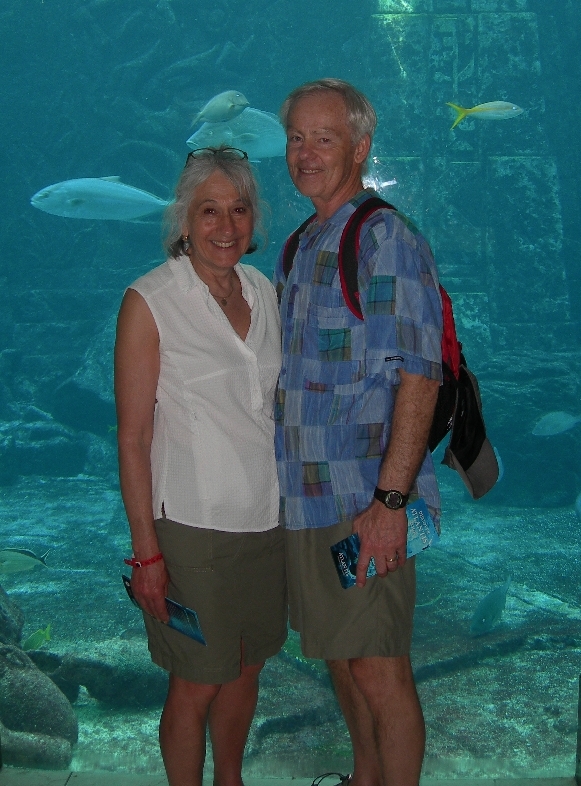 We “won” our “free” ($400 for two) cruise with air fare by attending a pressure filled travel vacation marketing presentation in Columbus last year. They made it extremely difficult to actually make the arrangements and discouraged us with various roadblocks along the way. But we were determined to “make them pay” and our persistence paid off when, after three months, we were finally able to make our reservations. 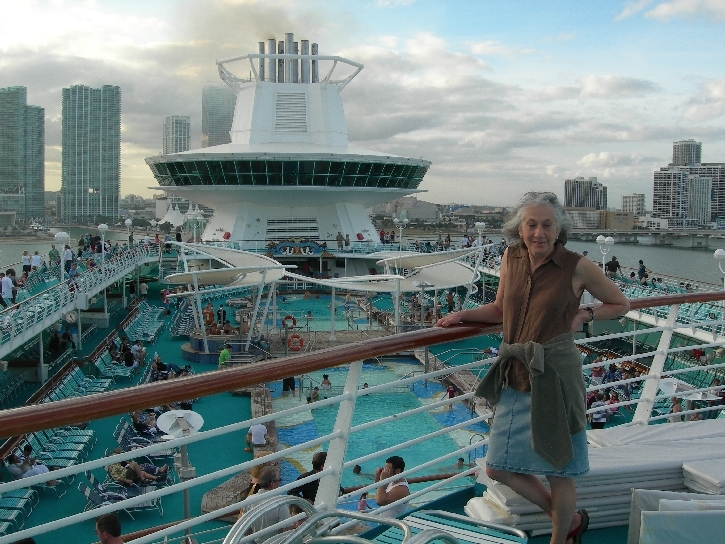 We decided we would use the cruise to celebrate Helen’s 65th birthday! 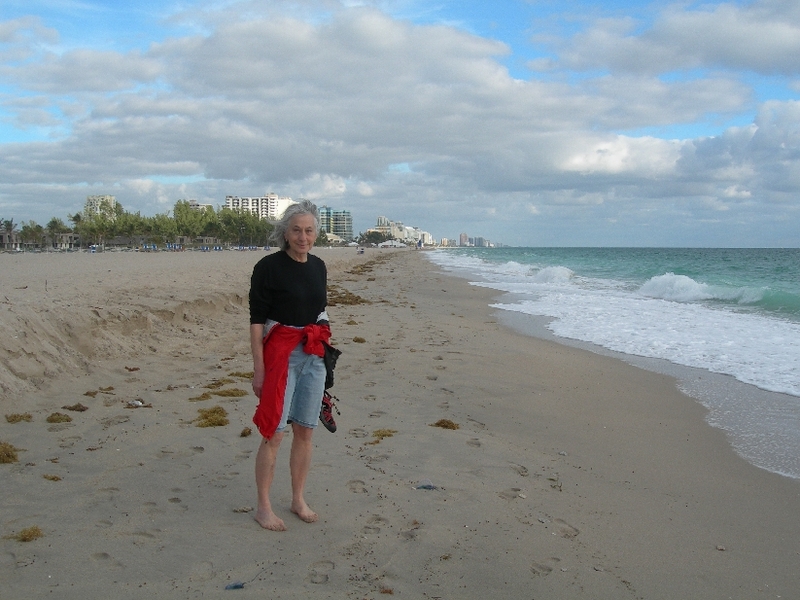 We arrived in Fort Lauderdale in time to walk the beach, visit the Swimming Hall of Fame, have dinner at the Bahia Cabana (were we had gone with Chad when he was swimming in the YMCA nationals here in 2001) and then settle into the Best Western Oceanside Inn. The next morning we were up to walk the beach again, this time in the opposite direction. 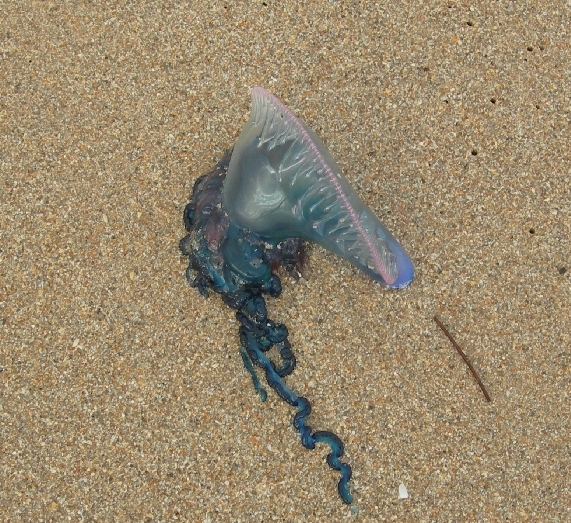 Many “Portuguese Man o’ War” (jelly fish) were washed up on the beach. We walked over the bridge to Walgreens to buy some cruise essentials (e.g. 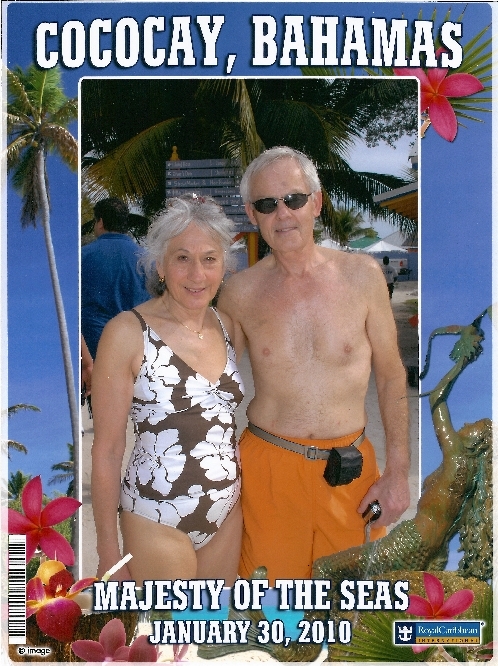 sun tan lotion), had a late second breakfast at the hotel (free) and then were picked up for our drive to the Port of Miami to board the Royal Caribbean “Majesty of the Seas” and join the other 2742 passengers on a cruise to the Bahamas. We boarded about one o’clock, got settled in our small but nice inside cabin on level 2 (bottom of the boat) and then went up to the 11th level for lunch at Windjammer food court. 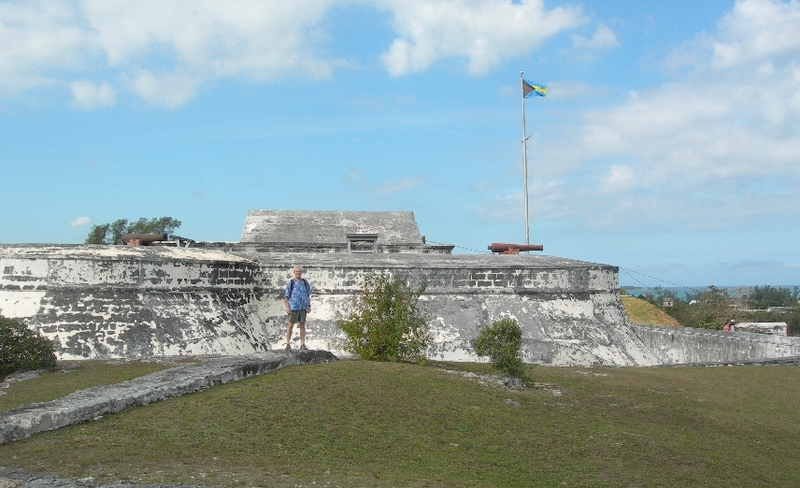 It was good exercise walking up and down the stairs, partially making up for the calories consumed during the voyage! There was a “Sail Away” party at 5pm after which we went to our assigned dinning room for dinner and then went to the Welcome Aboard show in the evening. 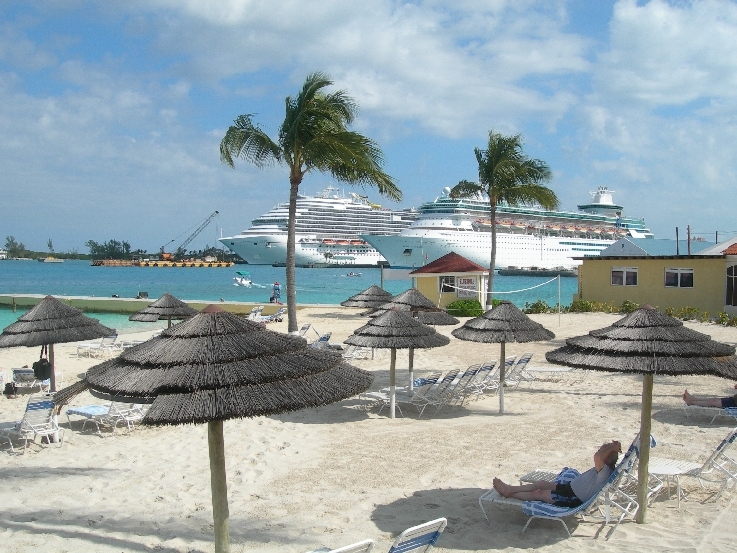 The next morning the ship set anchor off CocoCay, a small Bahamian Island used (owned?) 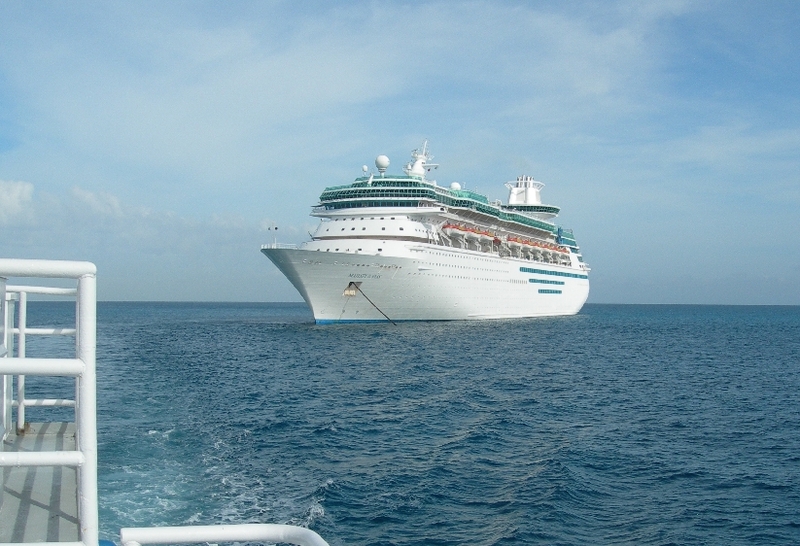 by Royal Caribbean. We boarded the launch at 9am to spend the day on the island. It was partly cloudy with the temperature in the high 70’s – perfect for starting our “winter tans” to impress the folks back home. Helen chose to read on the beach while I walked around the island on the fine white sand, waded through the water and picked up some treasures from the sea (shells). 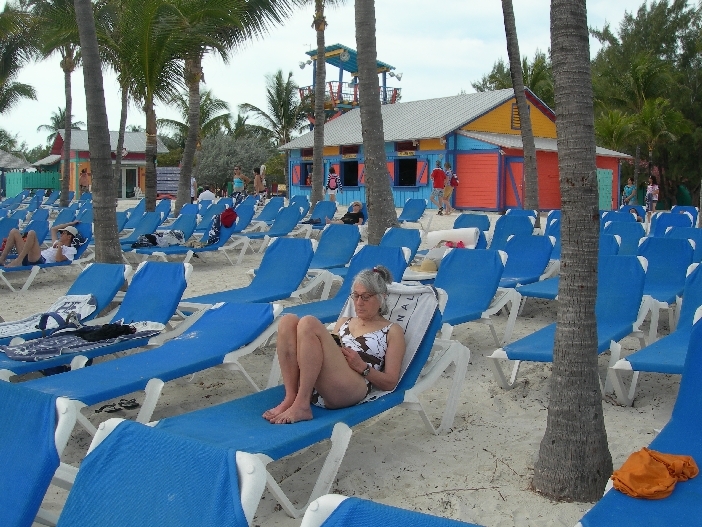 The Cay was bigger than I thought and by the time I got back (about two hours) it was time for our beach Bar BQ. The afternoon was spent moving from sun to shade and then back again to make sure we were “done on both sides” without burning. Back on the ship, we dressed for the formal dinner (excellent food! 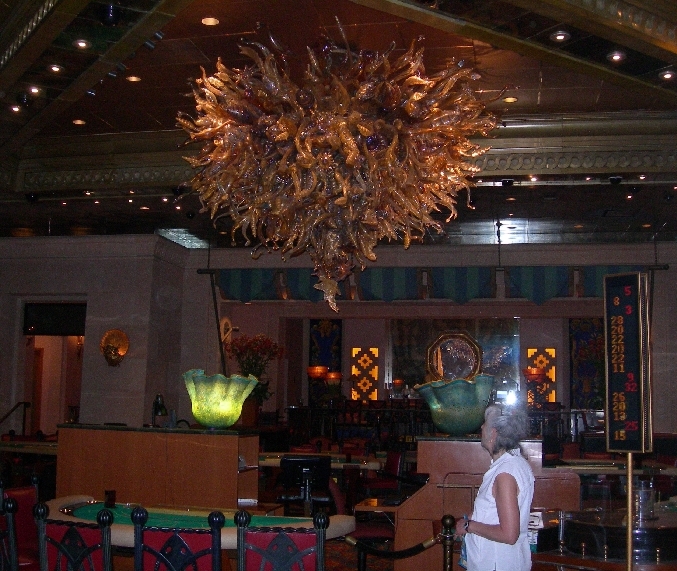 ), made a stop at the Casino and then listened to music in the Centrum (like an atrium in the center of the ship) while we played Farkle (dice game). 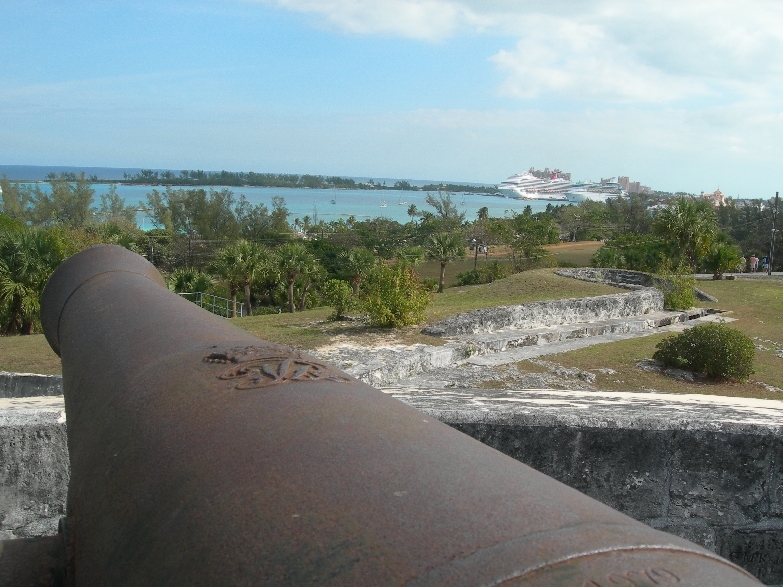 I was up the next morning for sunrise as we cruised into Nassau harbor. We started the morning doing a little shopping in the market (Helen bought a “real” Coach purse for $20!) 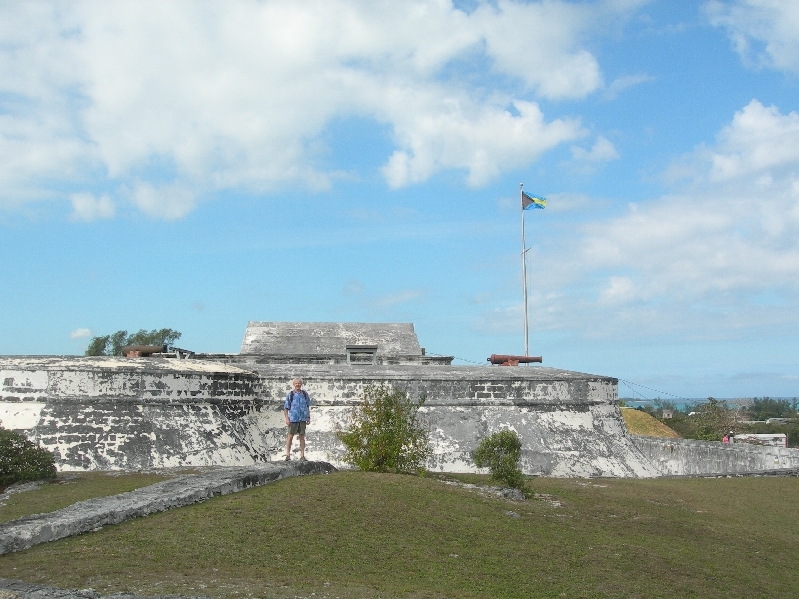 and then walked to and toured Fort Charlotte, an English fort built in the late 1780’s. 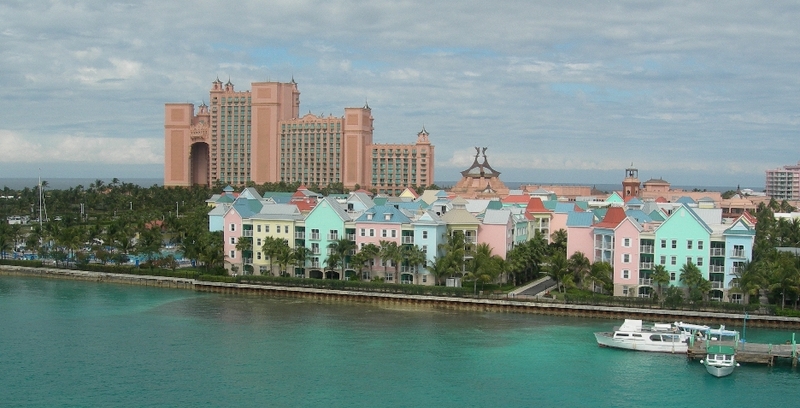 After lunch on the boat, we walked to Atlantis, a luxury resort on Paradise Island. 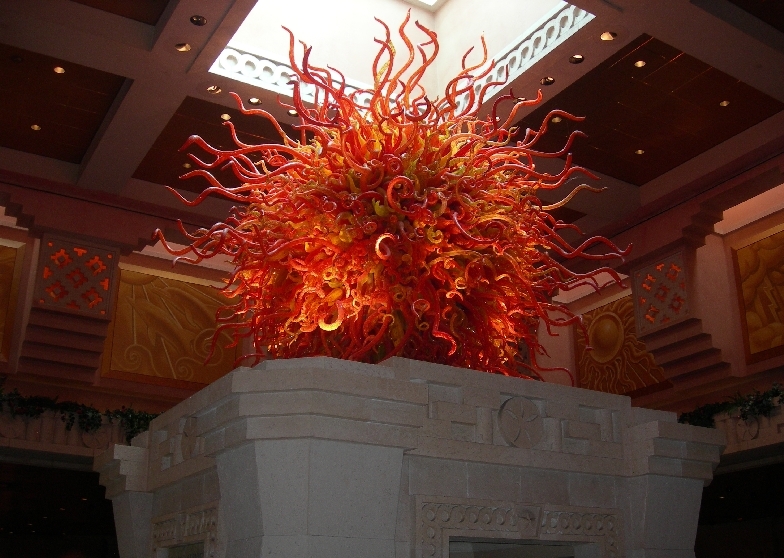 We walked through the Casino with its three Chihuly glass chandeliers (worth one million each!) 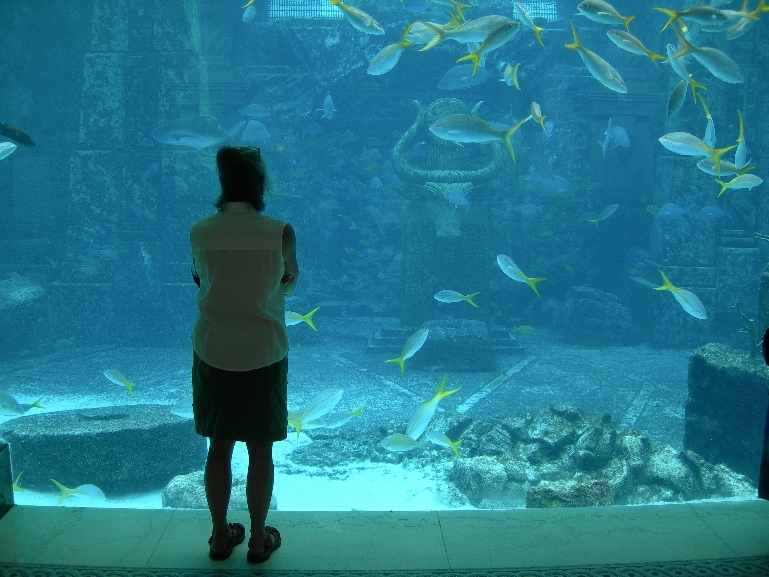 and then took a tour of the aquarium and marine sanctuary. 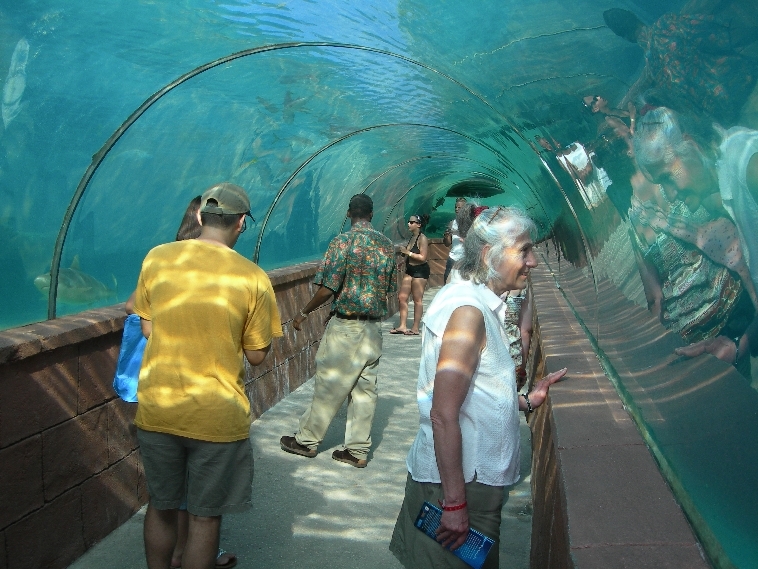 The underground (underwater) views were amazing. It is one of the finest facilities we have seen. We took a small Bahamian sea taxi back to the ship while a local entertained us with verbal tidbits related to Nassau harbor and another broke open a conch, which he had just pulled up from the sea floor by the dock, and ate it raw. After boarding the ship, we listened to a Reggae band by the pool, had dinner, saw the show (comedian was quite good) and packed for our trip home. We arrived in Miami at 7am, hooked up with another couple for a van ride to the Fort Lauderdale airport, arrived in Columbus at 4:30, picked up Kate’s dog Casey and were home at 6:30 for the national news – rested, refreshed and ready for spring! You are currently browsing the The Martin's Blog blog archives for February, 2010.